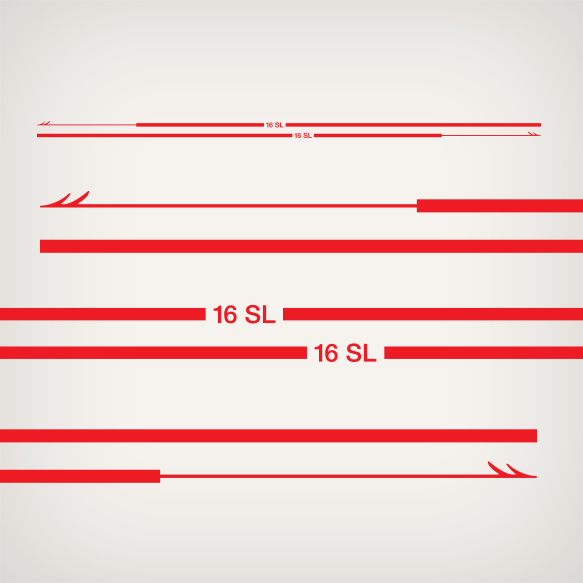 16 SL Harpoon Stripes for 1993 Boston Whaler Boats. Includes one harpoon, stripe name, and stripe for each side of the Boat. Overall size is 142.11 long aprox. Preview Image shows a close up of how the stripes look.